Now shipping the high-performance OmniMax, Evluma publishes test data, gains UL certification and introduces the LED retrofit for decorative and shoebox fixtures to utility and municipal customers with a first time offer. July 13, 2016…Renton, WA. Introduced at TechAdvantage 2016 with preliminary test data, LED lighting manufacturer Evluma announces that its OmniMax LED retrofit is now shipping and that full suite of LM-79 reports are immediately available on Evluma’s new website, evluma.com. LM-79 testing captures the key performance characteristics of an LED product including efficacy. At over 100 lmW and 80+ CRI, data on all wattages and the complete range of color temperatures, 2000K to 5000K, is available for download. 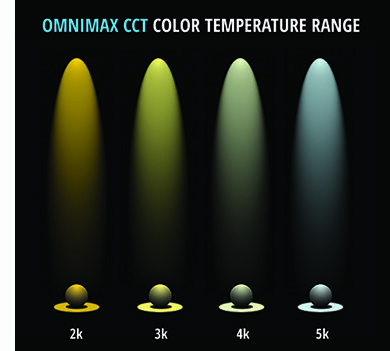 “Unique Evluma engineered features bring extra value and excitement to this revolutionary new LED light source,” says Taisha Bezzo, OmniMax Product Manager. Recommended to replace up to 175W HID bulbs, the OmniMax’s novel radial light engine and small size, similar to HID, takes advantage of existing fixture optics in decorative acorn, lantern, teardrop or shoebox style luminaires. “And as a screw-in retrofit, it’s easy to install.” The OmniMax is certified to UL 1598 / CSA C22.2 No. 250, Standard for Safety Luminaires and carries the MET Mark. First time utility or municipal customers are encouraged to take advantage of a special 3 x 3 (buy 3 get 3 free) offer that includes Evluma’s Bluetooth controls application ConnectLED™. Available on either an Android tablet or dongle for Windows laptops, ConnectLED unlocks additional energy and maintenance savings with walk-by dimming and connect/disconnect features. The 6 unit deal is designed to give customers the ability to create a mini test site, lighting a street, park or walkway as part of their evaluation process. Revitalize and upgrade municipal lighting with a choice of warmer color temperatures (2000K – 3000K) for historic look, or implement 4000K-5000K lighting for a more contemporary feel. The 2K and 3K models emit minimal blue wavelength light. With 20kV/10kA surge protection and core electronics field endorsed from the AreaMax™, Evluma’s flagship luminiaire for street and area lighting, the OmniMax also comes with Photocontrol Failsafe™ built-in. Photocontrol Failsafe maintains the dusk and dawn on/off cycles of the luminaire even if the photocontrol should fail removing an oft perceived ‘weakest link’ in the lifetime of a luminaire. The OmniMax is manufactured in Washington State by Evluma using the latest in lean technologies and carries a 5 year warranty. TechAdvantage is considered the annual technology event for electric co-op professionals. TechAdvantage 2017 will be held Feb 27-March 1 in San Diego, Ca.